One of the most common causes for hair loss in general is stress; just as stress causes you to lose hair on your head, it can also cause you to lose your beard hair, which can be really frustrating when you’ve put a lot of time and energy into learning how to grow a beard properly—and have invested heavily in your beard’s future. The easiest fix for stress is simply getting more sleep. America is a nation of insomniacs. We work hard, we play hard, and sleep is an afterthought for many of us. Consequently, we don’t get enough of it, and many of us operate at a massive sleep deficit, the grasping tentacles of which screw up all sorts of aspects of our daily lives from work to relationships to our very health itself. Ideally, young adults aged 18-25 and adults aged 26-64 should get between 7 and 9 hours of sleep a day, according to The National Sleep Foundation. If you’re a teenager aged 14-17 and you’re growing out your first beard, you need 8 to 10 hours of sleep to achieve ideal restfulness. Getting more sleep isn’t the only thing you can do to reduce stress. Exercise is another great tool to manage the stress we face in our daily lives. Studies show that aerobic exercise cuts down on depression and anxiety, while boosting feelings of contentment and optimism. Whether you choose to jog or to take your aerobic exercise between the sheets, know that exercise is one of the best things you can do for your mental and physical health—and the benefits will show in your beard. Medication shouldn’t be your first line of defense for battling stress, as medications such as antidepressants and benzos can have negative effects on your health; most experts agree that they should only be used when lifestyle changes aren’t working. That said, if your stress is very severe to the point of damaging your health, or you’re experiencing stress-induced behaviors like pulling out your beard hair, obviously you should check with your doctor, because he or she may recommend counseling and even medication to help deal with the situation. You might also want to think about talking to a therapist. Remember, there is no shame in seeking medical help if you really need it. In fact, according to NAMI (the National Alliance on Mental Illness), 18.1% of all adult Americans have experienced an anxiety disorder like panic attacks, PTSD or OCD. So, if you fall into that category, you’re not alone. 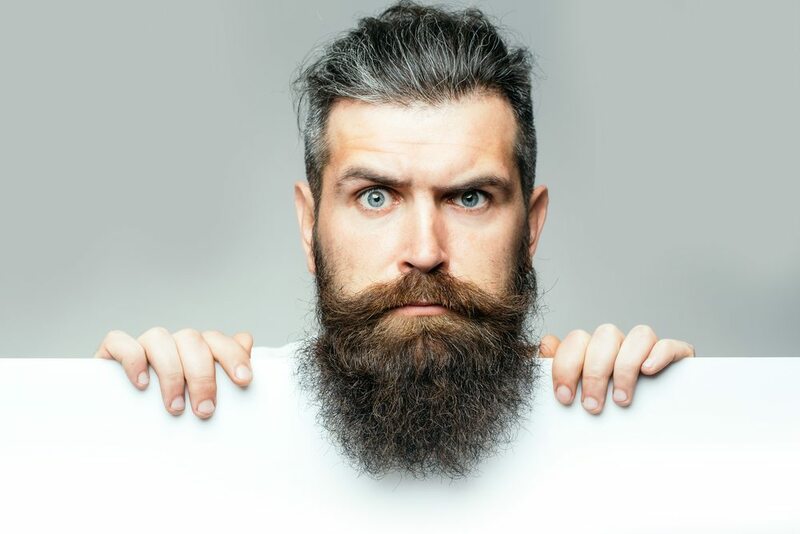 It may sound silly to say, but for some men, noticing a difference in their physical appearance, such as their beard hair shedding, is often what convinces them to seek help in coping with stress. And if you’re feeling insecure about it all, don’t be afraid to reach out to other men who’ve experienced this situation. As guys, we all know there are some things we just feel more comfortable talking to other guys about, and guys who’ve dealt with stress and its negative effects are the perfect layperson mentors to help you get back on track to a healthier and more beardiful you.